Texas Instruments Company Information Is this your company? Add your own content to this page. 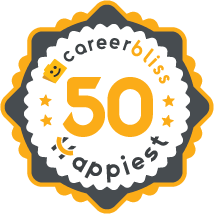 We've calculated that the average salary at Texas Instruments is $75K based on 1,358 user-submitted salaries A total of 205 Texas Instruments employees gave Texas Instruments an average happiness rating of 4.2 out of 5.0. 60 Manufacturing Specialists from Texas Instruments submitted salaries. 4.6 I have worked for Texas Instruments for 34 years. I have had a great career. I was extremely happy in my previous job. The culture of this company has grown globally and technician positions are being reduced to encourage engineering professionals to learn all job requirements, this is the new business decision from business majors. If anything is taken from this, is TI is taking the best and brightest talent based from university's degree and test scores to the marketplace. All others need not apply. 3.6 National Semiconductor was acquired by Texas Instruments after I left the company. While I was there, I found the work both challenging and stimulating, and the work environment very supportive. The company rewarded its successful contributors with a generous bonus and stock compensation plan (both actual and options). Assuming the TI environment is as good as the NSC environment, I would have no problem recommending this employer to others. Management need to listen to their people, the job that we do in the Security Control center is not easy. Management needs to give credit to the work we do, we only get criticized. Texas Instruments (TI) is a well-known manufacturing and distribution brand of computer technology. Specifically, the company produces analogue electronics, calculators, digital signal and light processors, integrated circuits, and radio-frequency identification. The company formed in 1930 first as Geophysical Service Incorporated and changed to Texas Instruments in 1951. TI made revenue of about $13 billion in 2010, and is the single largest manufacturer of digital signal processors and analog semiconductors. It ranked as 233 in Fortune 500 companies. The company is made up of two primary divisions: semiconductors and educational technology. The company was the first to produce a single-chip LPC speech synthesizer, which is a text-to-speech system that coverts languages to voice speech. Working at Texas Instrument means working with a team of innovative thinkers. Hiring managers at Texas Instruments are looking for professionals who are intelligent and adaptive to technological advancement. TI is an environment of ground-breaking inventions that change the way the world computes. Check out more information on our jobs page if you are serious about a Texas Instrument career.